To request recognition of the foreign studies to their Spanish equivalents, a request should be sent to the Minister of Education, Culture and Sports. Technical Secretariat General. Department of non-University Foreign Studies Validation. This request may also be submitted to the Regional Delegations of the MECD, in the Spanish Consular offices abroad and in the other manners described in article 38.4 of Law 30/1992, of 26 November, on the Legal System applicable to Public Administration and the Common Administrative Procedure. Certified photocopies of the documents to be presented in the UNED which are not made through the interconnection register system (SIR), should be done in centres that are associated with the UNED (not in halls or sub-centres, speak previously with your centre). UNED registration office in Madrid (C/ Bravo Murillo 38) is connected to the SIR platform, therefore at this office it should be carried the original documentation. In this case, it must be carried the original documentation, therefore it is not necessary the certified of this documentation. The original will be returned to the person who submitted it. Certifications made in the Education Departments of the Autonomous Communities shall also be valid as are those made via Notary Publics and those made in the Departments of Education in other embassies of Spain located abroad and in the embassies/consulates of other countries in Spain (in these cases it is also necessary to have previously contacted them in order to confirm the possibility of these certifications). 1. Recognition by the Authorities of the Ministry of Education of the country of origin of the signatures appearing on the original document, in the case of documents evidencing studies. 2. Legalization of the Ministry of Foreign Affairs of the country of origin as recognized in the previous case. 3. Recognition of the signature of the previous legalization by the Spanish consulate in the country of origin. Documents issued by the consular services of foreign countries in Spain should be legalized by the Spanish Ministry of Foreign Affairs and of Cooperation. The information corresponding to this legalization should be facilitated by the Authority or Consular Services of the country of origin. 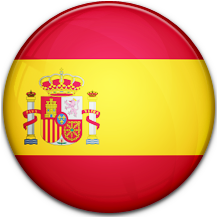 • Any diplomatic or consular representation of Spain located abroad. • Diplomatic or consular representation in Spain of the country of origin of the applicant or, where relevant, the country of origin of the document. • A sworn translator, duly authorized or registered in Spain, whose services may be obtained via the Office of Interpreters of the Ministry of Foreign Affairs and of Cooperation.